Have you ever seen Cauliflower growing in the ground? It’s a beautiful vegetable with it’s greyish- green leaves holding up it’s lovely white florets. My grandfather grew cauliflowers almost every season in his humble but meticulously designed kitchen-garden. 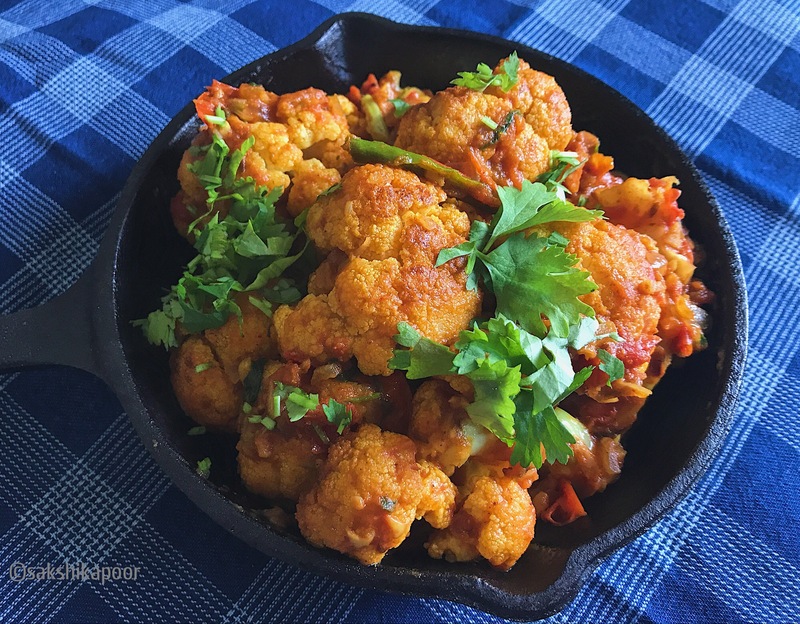 And while we enjoyed numerous Cauliflower (phool-gobhi in Hindi) based recipes like Gobhi paratha or Pakore (gram-flour fritters), this recipe was often made to lift the humble Gobhi Sabzi to a flavourful dish that could be added to dinner parties menus. It has always remained a hit with the Dal makhni and some Kadhai Paneer served with some hot rotis and jeera rice! Wash, drain and cut the cauliflower head into big florets. Draining the pieces properly is important to avoid splattering in hot oils while frying. Finely chop the ginger and garlic, separately. Chop the onions and tomatoes and split the green chilli into two long halves. If you are using green peas, then wash and keep them aside. If using frozen ones, thaw them in a cup of hot water. In a big kadhai (wok), heat 2-3 tablespoons of vegetable oil. Add a batch of cauliflower pieces and stir fry till you see it has some brown spots. We fry the cauliflower in batches so that all pieces are fried properly. Take out the fried pieces and keep aside. In the same wok, add more oil if needed. Follow by adding cumin seeds and wait for them to crackle. Add the chopped onions next and fry for 3-4 minutes on medium high heat. Next add the minced/ chopped garlic and fry till the onions and garlic turn golden. This should take another 4-5 minutes. 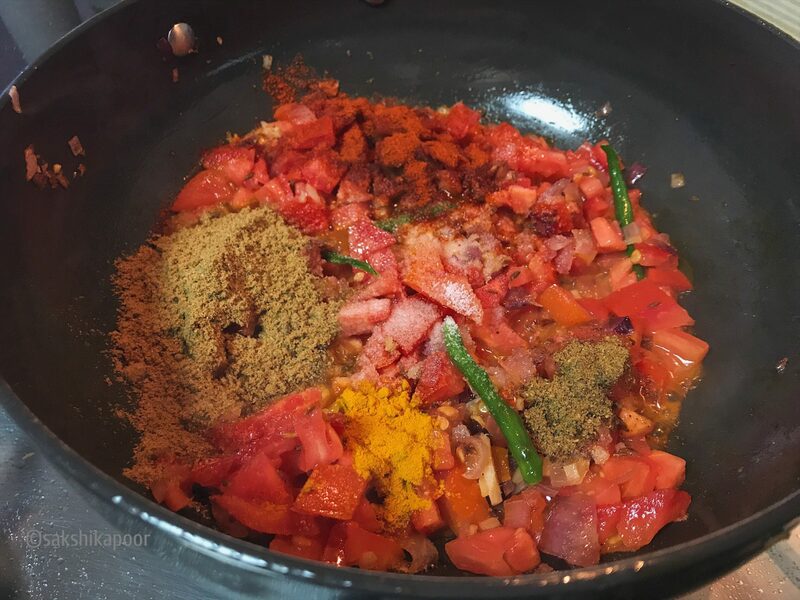 Once the onion is cooked, add the chopped tomatoes, green chilli and ginger followed by salt, turmeric, coriander, red chilli powder and garam masala. This Tadka is going to be spicy! Add the green peas next, if you are using them. 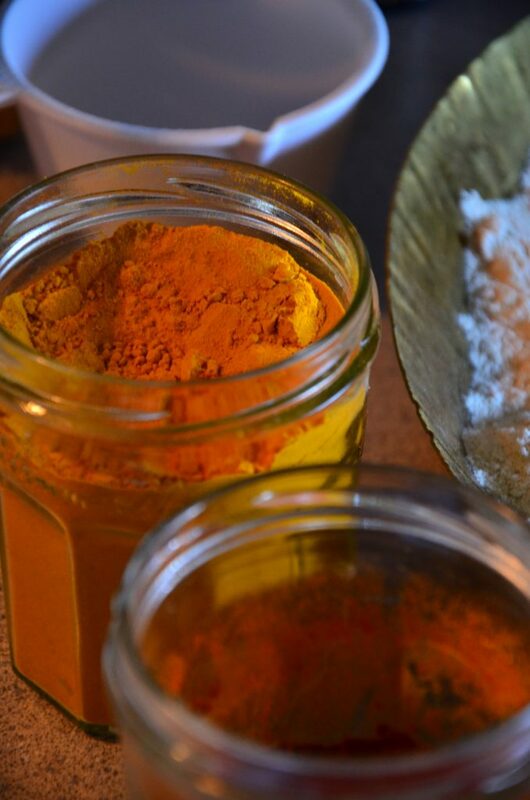 To avoid the burning of spices, add half a cup of water and mix. Stir and cook for another 5-7 minutes. Add crushed dried fenugreek (methi) leaves next. Add the fried cauliflower florets next and stir well to coat them in the tadka. Cook without covering the pan for another 7-8 minutes on a medium high heat. 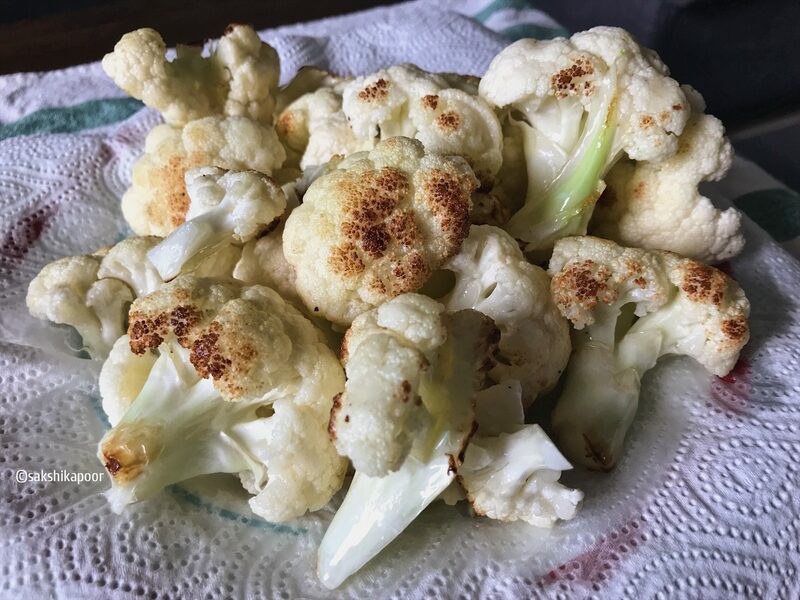 I usually like the cauliflower to have a bit of bite and so don’t cook it covered to avoid overcooking. If you like the cauliflower done till it’s soft, then you can cook it covered. Check the Gobhi by piercing a piece with a knife. Sprinkle chopped fresh coriander on top and serve with hot roti, paratha or dal– chawal! Thank you! Try it and tell us how it was! Yum! I love the various seasoning in this curry! Can’t wait to make it! Nope! Not in this house!